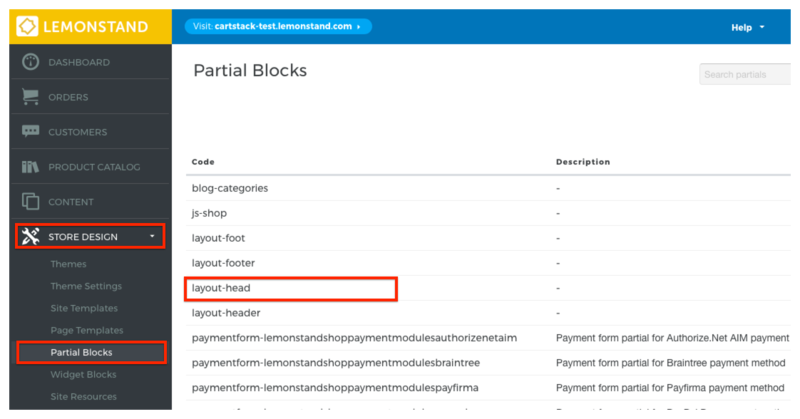 You will need a trial CartStack account to install CartStack on your LemondStand store. If you don't have one yet, sign up here - https://www.cartstack.com/sign-up/. From our CartStack admin, copy your unique tracking snippet from the code page. Log into your LemonStand store backend. Then navigate to Store Design > Partial Blocks > Layout - Head. Note: If your current theme doesn't have a Layout-Head partial file, email us so we can help you find the appropriate head file. 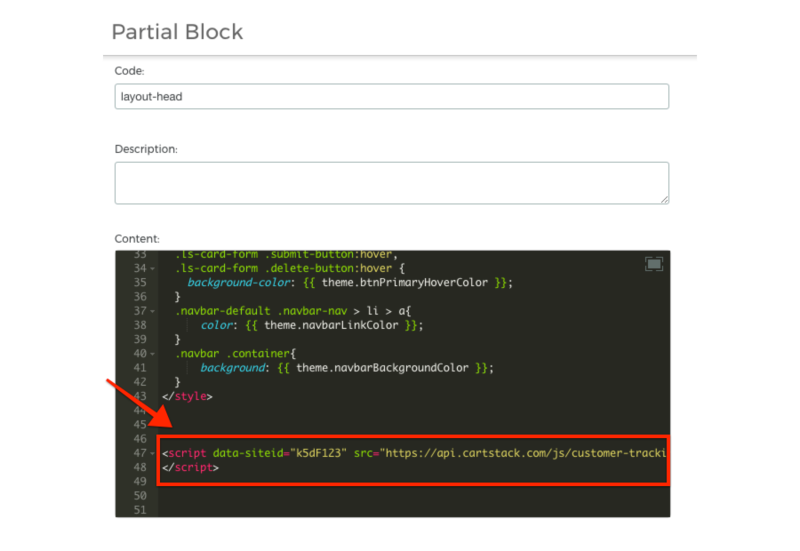 Paste your unique CartStack tracking snippet into the Layout-Head partial file (below any other content). 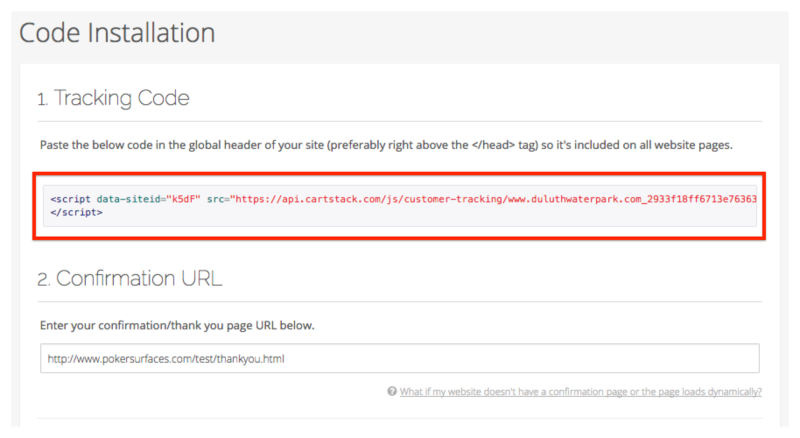 On the code page of your CartStack account, tell us the URL for the thank you page which loads after a purchase is completed. 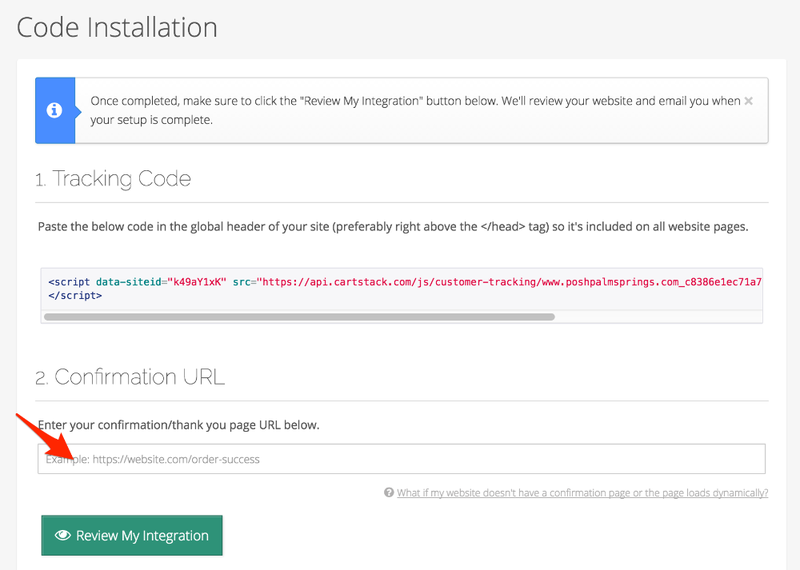 Someone on the CartStack team will then test your integration and let you know when your email campaign is ready to go live!